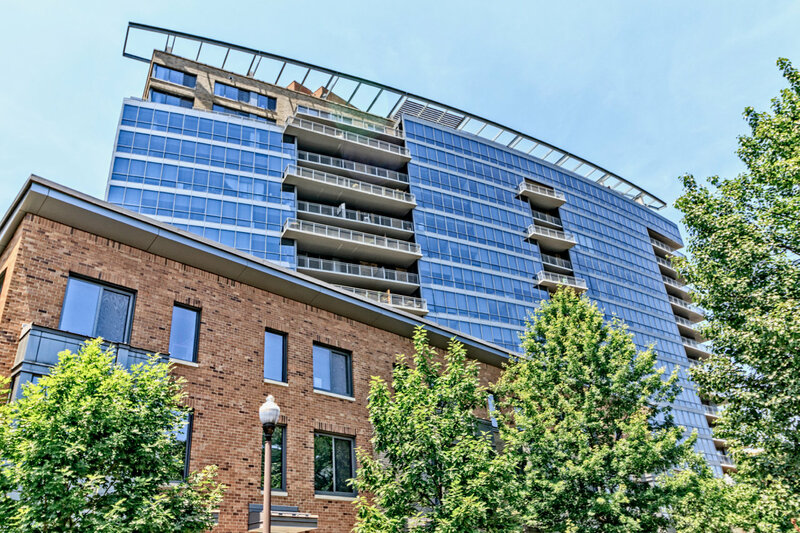 One of Arlington’s truly stunning condominiums is The Odyssey, located along the Orange Line Metro Corridor—specifically at 2001 15th Street in the fashionable Courthouse neighborhood. With its sleek and dramatically curved design, this 16-floor glass and steel complex offers 273 luxury residences and a ton of amenities. 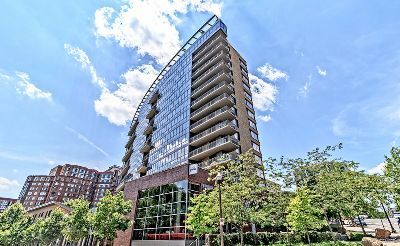 Built in 2006, The Odyssey gets mentioned a lot when it comes to DC Metro “top 10 condo” lists. The luxury touches go more than a step beyond, from the stunningly modern lobby with fireplace and 24/7 front desk to the elongated rooftop pool with spectacular panoramic views of the Washington and Arlington skylines. The complex is also mixed-use, with a Sushi Rock and Solarus Spa & Salon on the ground floor. But what about the actual condos for sale themselves—how much do they cost and what do they look like? The floor plans are nicely varied, from 579-foot studios all the way up to three bedroom plus den models. There are also 10 townhouse units. Additionally, floors 10 through 16 are categorized as “Platinum Penthouse Suites.” Prices range from around $400,000 to well over a million dollars. In other words, you’ve got choices! Many of the residences at The Odyssey have fireplaces and all have balconies. Bamboo is the most common flooring, although there are other options. Similarly, wall finishes vary from stark white to brick to cherry wood. The kitchens range from deluxe to unbelievable, with granite, marble and stainless steel. The penthouse units sport Viking, Sub-Zero, Bosch and Miele appliances. 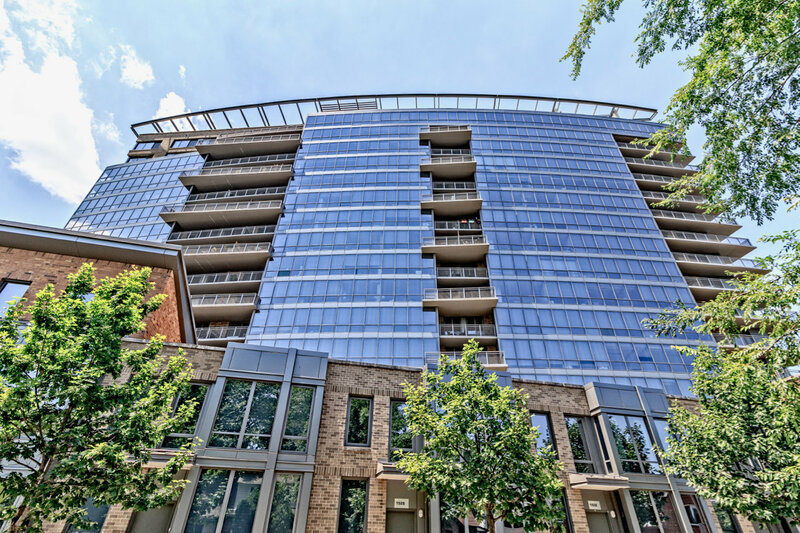 The luxury touches extend to common amenities, with a state of the art fitness center on the 17th floor that overlooks the National Cathedral. The cardio machines have their own overhead TVs, just like a top commercial gym. There are also multiple party rooms and meeting rooms, a business center and a private landscaped park. 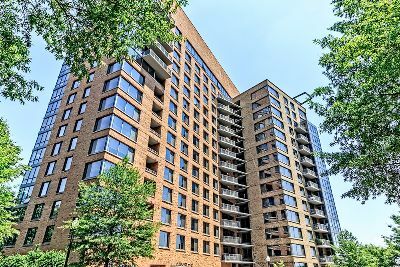 Last but certainly not least is the location itself—an absolutely prime spot along the Rosslyn-Ballston Corridor and right next-door to Clarendon. The Odyssey is just across from Arlington Plaza and two blocks from the Courthouse Metro. You can walk to either Whole Foods or Trader Joe’s for groceries, or just go out to drink and dine, at the multitude of restaurants and hot spots in the neighborhood.